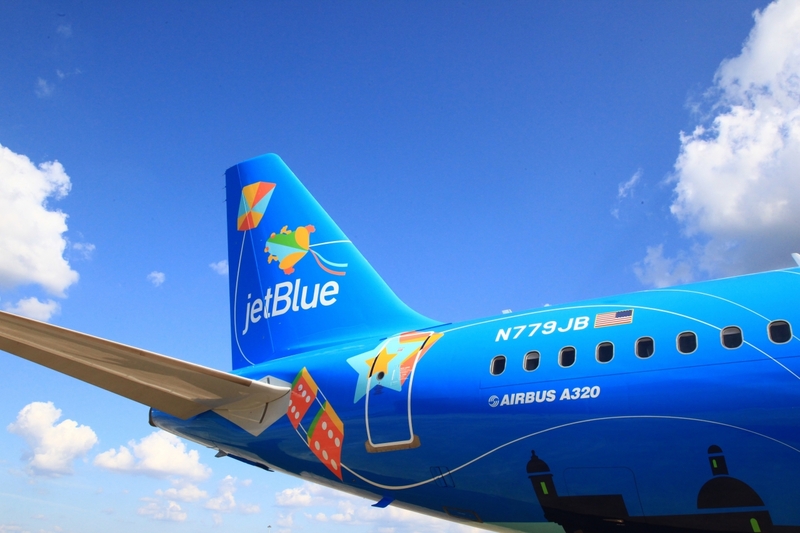 SAN JUAN, Puerto Rico, September 24, 2018 /3BL Media/ - JetBlue (NASDAQ: JBLU), Puerto Rico’s largest airline, has unveiled its latest special livery, which is dedicated to “La Isla del Encanto.” The Airbus 320 aircraft – tail N779JB - is named “Bluericua,” blending JetBlue’s brand with the affectionate name for people of Puerto Rican descent. This custom-designed livery is inspired by JetBlue’s admiration for Puerto Rico’s dynamic culture, stunning beauty and the passionate spirit of its community. 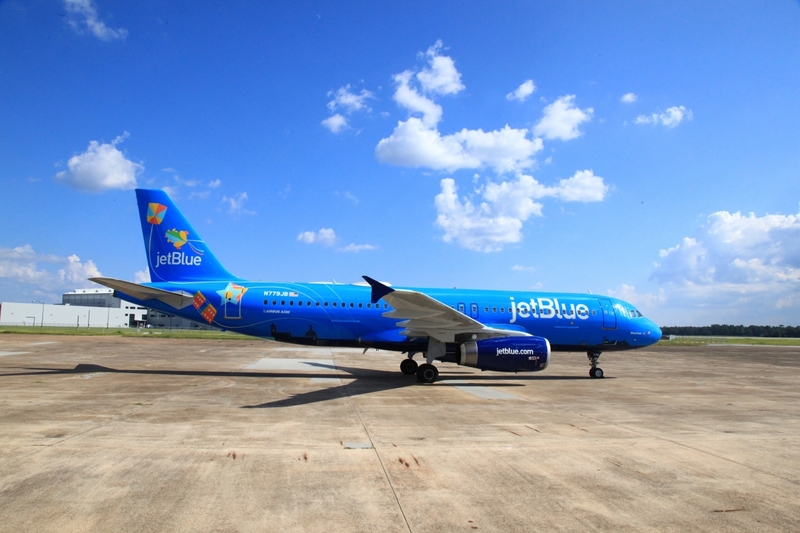 “The Government of Puerto Rico acknowledges and thanks JetBlue for its firm commitment to the development of local economy and tourism of the Island, creating new jobs, expanding its routes and frequency of flights to Puerto Rico, through its JetBlue 100x35 initiative, and now celebrating and giving wide visibility to the Puerto Rican culture with the newly designed Bluericua livery,” said the chief executive. JetBlue recently launched a campaign that pays homage to the beloved practice of spontaneous applause once a flight lands in Puerto Rico, along with some of the island’s iconic music. JetBlue teamed up with Puerto Rican musicians Ángel “Cucco” Peña and Víctor Manuelle to create a surprise and delight experience for customers traveling on a recent New York JFK-San Juan flight to celebrate the tradition. Victor Manuelle led an improvised rhythmic chant, incorporating the famous applause with live music, all while inviting JetBlue customers to join the fun during an aircraft-wide celebration. To view the video, visit aplausoenclave.com. Earlier this spring, JetBlue returned to pre-hurricane capacity, offering up to 48 daily flights between Puerto Rico and 13 cities in the mainland US, the US Virgin Islands and the Dominican Republic. JetBlue also welcomed 50 new ground and airport operations crewmembers. Puerto Rico is home to nearly 500 JetBlue crewmembers who support the airline’s operations in its focus city of San Juan, as well as in Aguadilla and Ponce. To book flights to Puerto Rico, visit jetblue.com. JetBlue is New York's Hometown Airline®, and a leading carrier in Boston, Fort Lauderdale-Hollywood, Los Angeles (Long Beach), Orlando, and San Juan. JetBlue carries more than 40 million customers a year to 103 cities in the U.S., Caribbean, and Latin America with an average of 1,000 daily flights. For more information please visit jetblue.com.